The quantum double slit experiment demonstrates the nonlocality of quantum mechanics, predicted by the equations. Bell's Inequality is also used to demonstrate the nonlocality of quantum mehcanics. Bell's Inequality, and all the surrounding experiments, did not really add to the notion of nonlocality seen in the double slit experiment. Double-slit interference does not prove any non-locality. No single-particle experiment can. You need two or more entangled particles, with experiment on them done at spacelike separation. Yes, the double slit experiment shows a sort of nonlocality in the sense that you can think of electrons going thru both slits and once. But Bell and his followers wanted to show some kind of action-at-a-distance, and you are right that those experiments do not show additional nonlocality. The reason you are having so much trouble understanding the fuss over Bell's Theorem is that, unfortunately, you don't understand it either. In particular, it is not about "hidden variable" theories. Indeed, the very phrase "hidden variable theory" has no meaning at all outside of quantum theory, and there it is often as misleading as it could possibly be. (In the pilot wave theory, for example, the particle positions are called "hidden variables" even though they are the very variables that are manifest empirically. It is the wave function that is hidden.) Anyway, Bell's theorem is not about "hidden variables" or even about quantum theory: it is about *any local theory at all*. No local theory, of any sort, can predict violations of Bell's inequality for experiments done a space like separation. (Excluding superdeterminism as incompatible with science, which is what some of the debate with 't Hooft is about.) So if you accept that such experiments really do show these correlations at spacelike separation (and a Many Worlds person might deny that), then you accept that no local theory can be correct: the world itself uses non-local physics. Period. What does this show about quantum theory? If you understand it so that it predicts violations of the inequality at spacelike separation then you understand it as a non-local theory. So you should just accept that. If you dispute this, as I am sure you will, here is your next task. Go look up Bell's theorem, and identify the step in the theorem where an assumption of "hidden variables" (as opposed to an assumption of just locality) is made. And explain how the theorem fails without that assumption. If you can't do that, stop and think. If you can, we can discuss what you have found. One more comment. EPR shows that locality implies determinism. This is rather trivial: if anything really indeterministic happened in one of the distantly separated labs, then the only way for the result in the other lab to always anti-correlate with it is for information about the indeterministic outcome to be transmitted superluminally. On the other hand, explaining the EPR correlations locally with a deterministic theory is a piece of cake: that was Einstein whole point. And once you have determinism, you get counterfactual definiteness for free: the theory tells you what would have happened had things been different. But really counterfactual definiteness plays no role in the theorem. The CHSH inequality applies to local indeterministic theories with no perfect correlations. Indeterminism does not get you out of Bell's result, as you mistakenly believe. I am not the only one saying that Bell's theorem depends on local hidden variables. That is also what the Wikipedia article says, it is what Bell said, and it is what my textbooks say. Local hidden variables are essential to the proof. I really do not see how you can deny that. Bell later said that he just needed locality, but that was because he redefinied locality to mean a local hidden variable theory. If Bell nonlocality has been proved, then why hasn't anyone gotten a Nobel prize for it? My textbooks also deny that EPR proves determinism. You're right that EPR shows that certain experimental outcomes are determined once the emission has occurred, but most textbooks say that there is an inherent randomness in the process. Wikipedia? Are you serious? Your textbooks? I gave you a simple, straightforward task if you think you actually understand what you are claiming: look at Bell's proof and identify the step (it isn't a long proof) where he assumes hidden variables, show how, then show that the proof fails without the assumption. And you respond by saying that Wikipedia says something? And what your textbooks say? Bell's work has been almost uniformly misunderstood and misreported, as I document in "What Bell Did". But if instead of thinking for yourself you regard quoting Lubos Motl(!) as evidence of anything then it is clear what the situation is: you don't understand the theorem. You are simply parroting what other people, who also don't understand the theorem, say. Of course Bell non-locality has been proved. Over and over. And all of the other obviously non-local phenomena: the GHZ phenomenon, teleportation (which is be really not a violation Bell locality per-se but indicates the information-theoretic transmitting properties of the wavefunction) etc. One more time: if you understand what you keep saying, show the step in the proof. If you can't, just be honest and admit you are simply repeating things that you don't really understand. You might get interested enough to learn something. The key Bell assumption is quoted in that 2014 paper, What Bell Did, by Tim Maudlin: "Let this more complete specification be effected by means of parameters λ. It is a matter of indifference in the following whether λ denotes a single variable or a set, or even a set of functions, and whether the values are discrete or continuous." The "parameters λ" are the local hidden variables. You argue that this "makes no contentful physical supposition that can be denied." That is the belief of the hidden variable theorists. The belief might have seemed reasonable before 1925, but not since. You must be joking again. Where do you find either "local" or "hidden" in that description? And the only reason Bell adds "additional" is that EPR already made clear that if the quantum mechanical description is complete, then the theory is non-local. That's the whole point of EPR (see title). As far as Bell is concerned, you can throw away the wave function and build a theory on whatever grounds you like. As long as it is local it can't violate his inequality (modulo hyperfine tuning, which we are discussing with 't Hooft). So are you saying that if Bell had started this way: "Take any local theory. Let the terms in which the theory describes systems be designated lambda. Lambda can be anything you like: it is a matter of indifference in the following whether lambda denotes a single variable or a set, or even a set of functions, and whether the values are discrete or continuous", or you actually say that that constitutes a contentful physical assumption that can be denied? Is that your assertion? Yes or no. No, I am not joking. I am not saying anything radical here either, as I am just defending orthodox textbook quantum mechanics. Quantum mechanics uses non-commuting observables. If you identify observables with measured values, calling them lambda or whatever you like, then you get Bell's inequality. But then you have left the quantum world and entered the world of hidden variable theories, because those lambdas commute. As you say, it doesn't matter "whether lambda denotes a single variable or a set, or even a set of functions, and whether the values are discrete or continuous". As long as they are non-quantized variables that commute in the lingo of quantum mechanics, then you get a hidden variable theory. If they are also local, then the theory contradicts the Bell test experiments. I think Bell switched from calling them "hidden variables" to "beables", but they amount to the same thing. If you don't like Wikipedia, an excellent book on the Bell test experiments is The Quantum Challenge: Modern Research on the Foundations of Quantum Mechanics. What I say is consistent with that book. I posted a criticism in 2014 of Maudlin's 2014 paper. Reinhard F. Werner also criticized it, with a paper starting: "The Editors of this special issue have asked me to give a comment on Maudlin’s contribution[Mau]. The background is that the paper is rather polemical and takes issue with views which are widespread in the physics community and probably also shared by most of the other authors of this volume." Maudlin replied here. I post this quote to show that criticism of Maudlin is not just ignorance of what Bell did. Maudlin's view is contrary to most physicists with expertise in the subject. That does not make him necessarily wrong, of course. A lot of physicists say funny things about quantum mechanics. Look, this is very clearcut. If you want to talk about Bell's theorem because you actually think that you, personally, understand the theorem then talk about the theorem. If you want to talk about sociology, then that is an entirely different matter. I do not dispute a word about Werner's sociology. The paper is polemical. It is polemical exactly because the vast majority of physicists—even those who style themselves experts—do not understand the first thing about the theorem. In "What Bell Did" I cite a video put out by Physics World, as mainstream physics as you can get, that claims that Bell proved that hidden variables are impossible and hence that the probabilities derived from quantum theory are fundamental randomness, not mere ignorance. And I demonstrated that that could not possibly be the case, since Bell was a strong proponent of the pilot wave theory, which employs hidden variables and is deterministic. These are just plain facts. Don't believe me? Watch the video and read "On the Impossible Pilot Wave". This is proof—absolute and irrefutable proof—that the "common wisdom" about Bell is completely and utterly false. They literally have no idea what they are talking about. So citing books and Wikipedia and so on is just pointless. But if you claim to actually understand the theorem, and how quantum mechanics somehow gets around the theorem and remains a local theory despite predicting violations of the inequality at space like separation, then I can inform you that you are deluded. As for the lambdas, when you say they have to commute and so one, notice that Bell says not a word about that. You want to use Grassman variables? Be my guest. The theorem still goes through. It might occur to you, looking at the actual proof, that all Bell does with lambda is conditionalize on it and integrate over the distribution of lambdas. And on top of that, the GHZ phenomenon does not even need the integration, since the predictions are not statistical. Anyone can see that all you are doing is citing sources, not giving arguments. I assert that every one of your sources is wrong. If you want to defend your claims with actual arguments, do so. If you are only going to make sociological observations, then just admit that's all you have. I cite authorities because you keep accusing me of not understanding Bell's theorem. It is not just me. You are accusing most expert physicists of not understanding it either, from 'tHooft on down. Yes I am. Did I really fail to make that clear? That 't Hooft does not understand it, or GHZ, is patent in the exchange I am having with him. My point is that you confidently pronounce that I am wrong here, as if you have an informed opinion on the matter. Do you claim you do, or you are just repeating what you read elsewhere? If you think there is a way out of Bell's result for quantum theory, then let's get down to brass tacks and identify what it is. If you are just parroting what you read without any understanding, then just fess up and we can move on. Yes, I am saying that you are wrong. But if 'tHooft cannot convince you, I don't believe that I can either. I see you have disagreed with others, such as Griffiths (and his reply). You also deny that there is a black hole information paradox. I agree with you about Zeilinger, and possibly also about black hole information. So I am not saying that you are wrong just because some big-shot physicists do. In proofs of Bell's Theorem, there are always 2 noncommuting observables being applied to some particle, and some assumption about what would happen if some hypothetical measurement were taken of those 2 observables. Sometimes the assumption takes the form of "hidden variables", sometimes lambdas, and sometimes beables. Quantum mechanics teaches that you cannot simultaneously measure noncommuting observables, so there is a counterfactual assumption. I interpret the Bohr dictum "There is no quantum world" as saying that there are no such hidden variables, lambdas, beables, or whatever you want to call them. As others prefer to say, there is no underlying realism. Or as Peres liked to say, unperformed experiments have no results. Anytime you make assumptions about the results of unperformed experiments, you are going directly contrary to quantum mechanics. And that is what Bell does. He makes assumptions that are contrary to quantum mechanics, and then derives an inequality that is contrary to experiment. Had the experiments confirmed the inequality, he would have become a great hero for disproving quantum mechanics. As it is, he just helped confirm Bohr. Why all the distractions and the sociology again? I have been in other disputes. They have no bearing on this one. If you really want to examine this issue openly and clearly then stick to it and stop producing smoke. 't Hooft is demonstrably ignorant of the GHZ set-up. Just look at the recorded discussion. This despite the fact that I posted my own account of it, and sent him Mermin's account of it by e-mail. So the fact that 't Hooft is unconvincing means nothing. If you think you really understand this stuff (and oddly you refuse to say whether you do or don't) then you should be convinced that you could do better than 't Hooft. Any knowledgeable person reading the discussion can see that he hasn't a clue. But your further response suggests that you are under the impression that you do understand. So let's walk through that point by point. "In proofs of Bell's Theorem, there are always 2 noncommuting observables being applied to some particle, and some assumption about what would happen if some hypothetical measurement were taken of those 2 observables." The first part of this sentence is just nonsense and the second part false. Proofs of Bell's theorem have neither commuting nor non-commuting observables, because the proof simply does not use anything at all as an "observable". As I said before: use Grassman variables, use non-commuting 2x2 matrices, use whatever you like in lambda. Since you only ever conditionalize on it, it doesn't matter. Then the violation found in nature are strong enough that the stated quantity is 2√2. So suppose you had a deterministic system whose maximum value is 2. And you now introduce a tiny bit of indeterminism, so according to you Bell's theorem doesn't hold and violation of his inequality is now possible for a local theory. Do you honestly believe that no matter how small the indeterminism introduced you can suddenly produce a violation that big? Furthermore, counterfactual definiteness fails in the face of any indeterminism. How does that help anything? "Sometimes the assumption takes the form of "hidden variables", sometimes lambdas, and sometimes beables. Quantum mechanics teaches that you cannot simultaneously measure noncommuting observables, so there is a counterfactual assumption." Since there is no assumption, it's name can't but be misleading. As I said, except in quantum theory there is not even any meaning to a variable being "hidden". All Bell is interested in are the variables that determine (or fix the probability of) the outcome of the experiment. Whether those variables are in some sense "hidden" or not is of no consequence to the proof. As for the word "beable", that is Bell's reinvention in English of the word "ontology". The ontology of a theory is what the theory postulates as existing. A theory with no ontology makes no claims about the world at all. As I already said, the structure of Bell's 1964 argument is that he takes as given the EPR paper. And in EPR there is a clear conclusion that any local theory be deterministic on account of the prefect correlations in the EPR set-up. If there were any fundamental local indeterminism in the theory, then only by superluminal influence could the distant experiment always display the anti-correlated result. Otherwise how could the distant particle know what happened in the indeterministic evolution? As Bell says, in the theorem determinism is not *assumed* it is *derived*. The derivation uses the perfect EPR correlations. And once you have determinism you get counterfactual definiteness for free. It is also derived, not assumed. The only assumption is locality. Note, however, that perfect correlations are not required to violate the inequality. The CHSH inequality above cannot be violated by any local theory. So there is no assumption at all about "unperformed experiments". About the Bohr dictum. First, it is not clear that Bohr ever said it. But if he did, he was also supposed to have said that the microscopic world should be represented by mathematics, not visualizable descriptions. 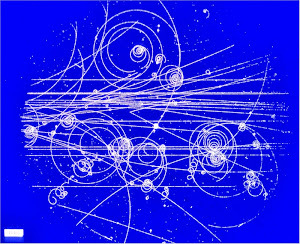 Bohr did not think that there is no quantum world: obviously there is. What else is the theory about? He was rather concerned to deny the neo-Kantian claim that everything in science had to be "anschaulich": visualizable. Using Bell's lambda to represent it would not have bothered Bohr in the least. So every claim you made about Bell's proof is false. You keep saying that Bell assumes this or Bell assumes that but never point out where in the proof this supposed assumption occurs.That already shows that you are at best on shaky ground. And in fact you are standing in quicksand. To get "C(a,b) + ... ≤ 2", you have to assume that the correlation C(a,b) is given by integration over some mysterious parameter lambda. That is justified by by assuming that lambda encapsulates everything about the particle pair, so that observing the particle just depends on lambda and the detector direction a or b. So (λ,a) determines one particle, while (λ,b) determines the opposite one. Repeating the experiment assumes some distribution of λ, so you can integrate to get the correlation C(a,b). To get 2√2, you have to assume quantum non-commuting observables, like spin in perpendicular directions. Or at 45 degrees, as I am not sure at the moment what gives the maximum. As you say, this is a contradiction. So the parameter lambda assumption must somehow embody some hypothesis not present in quantum mechanics. You say it is a hypothesis that no one would deny. Maybe no physicist before 1925 would deny it. But the parameter lambda is only reasonable if you think that some parameter (real, discrete, or in some weirdo measure space) is going to determine the measurement at a given direction a. If you want to avoid the issue of determinism of individual particles, then you can argue that the correlation is determined by lambda and the directions. I accept that. But you are still assuming some kind of funny lambda theory that is contrary to quantum mechanics. You are assuming that this lambda tells you outcomes that you never measure. That is the essence of a hidden variable theory. Yeah, I know that Bohr may not have said that dictum, and there could be some disagreement about what Bohr would have meant if he did say it. That is why I qualified it with "I interpret". The thing not present in quantum mechanics that is present is all theories covered by Bell's theorem is easy to identify: locality. Quantum mechanics is a non-local theory! Quantum mechanics embodies spooky action-at-a-distance! That is why Einstein could never accept it (not the indeterminism), that's why he kept searching his whole life for a local theory that could reproduce the predictions of quantum mechanics. In Bell's formalism, when analyzing standard quantum mechanics, lambda *is* psi! And the reason quantum mechanics can violate the inequalities is that it does not fulfill the locality conditions, i.e. it is non-local. What Bell showed was that Einstein's search was bound to fail. You are so confused because you somehow think the quantum mechanics is local. As Einstein saw, it is manifestly and obviously non-local. The non-locality is implemented in the standard collapse postulate. Start with a pair of particles in a singlet state. Suppose that that state is, in the EPR sense, complete. Then lambda just is psi. And in the entangled state, neither particle has a spin in any direction. Now measure the x-spin of particle 1. According to quantum mechanics, the outcome is truly random, not determined by any pre-measurement feature of the electron. Suppose the outcome is "up". Now reflect the outcome of this measurement on particle 1 by collapsing the wave function to the appropriate eigenstate of the particle 1 x-spin operator. *As a result of this collapse, triggered by an operation made on particle 1, particle 2 changes from a state of indefinite spin to an eigenstate of x-spin, the opposite eigenstate to that of particle 1. * That change of the state of particle 2 consequent to the measurement of particle 1 is a non-local change. The experiment carried out on particle 1 caused a change of state in particle 2, no matter how far away particle 2 was. Straightforward non-local effect. So it is not at all that the use of lambda somehow is incompatible with quantum mechanics. You are free to put whatever you like in for lambda, as I said. It is just that quantum mechanics fails to satisfy the conditions for locality. And properly so. It is weird to say that lambda is psi. I don't think Bell said that. Bell was looking for a local and more realistic theory to replace quantum mechanics. Saying lambda equals psi just means that you are disguising quantum mechanics somehow. Applying Bell's theorem, this shows that QM is nonlocal. As you say, collapse of the wave function is a nonlocal operation. That makes QM a nonlocal theory, if you think of psi as a physical thing. Or "ontic", as some say. But if psi is just a way of keeping track of our knowledge of the system, then QM can be regarded as a local theory. I think 'tHooft said in his comments to you that QM is a local theory. Knowledge about a system can be nonlocal, as Bell explains with his example about somebody's socks. You say that QM is "manifestly and obviously non-local". If that is true, then why bother will all the Bell arguments? Why use Bell to prove that QM is non-local, when it is manifestly and obviously non-local anyway? You say: "You are so confused because you somehow think the quantum mechanics is local." Did you say that to 'tHooft? Is he so confused because he somehow thinks that QM is local? I think that I am understanding your argument better. This is why you reject the argument that Bell proves randomness, and why you think that Bell's lambda is undeniable. I can go along with your anti-randomness argument, but saying "initially disposed to yield a particular outcome" is not enough to imply parameterization by some lambda in some measure space. I would go further and say that Bell and the Bell test experiments show that electrons can be disposed towards certain outcomes without being parameterized by a measure space. You might say: How can that be? Give me some mathematical model of how that can work? I can only say that QM is the model. If you want something that more realistically models the probabilities, then you are led to sort of local hidden variable models that Bell proved to be impossible. So I have to say that there is no realistic probability model like that. There is no quantum world of local hidden variables. Of course you can use psi as a lambda! Why not? Bell says you can use anything you like and he means it. The theorem isn't even *about* quantum mechanics, so no restrictions concerning the quantum formalism would make any sense. The theorem is proving that certain correlations for experiments done at spacelike separation cannot be predicted by any local theory (or, more precisely, any local non-hyperfine-tuned theory). Quantum mechanics happens to predict violations of the inequalities in such circumstance, and quantum mechanics is not hyperfine-tuned, so it follows that quantum mechanics is a non-local theory, just as Einstein said. And more importantly, such violations of the inequality have been observed over and over in the lab, so that proves that *actual physics* is non-local (granting that it is not hyperfine-tuned). You really have to stop projecting your expectations or your prejudices on Bell's work. Just read the theorem and see what it says. There are no restrictions on the lambda. Bell was not looking for a "more realistic" theory to replace quantum mechanics! There are obscurities in the standard presentation of quantum mechanics, and he wanted a theory that is sharply formulated without obscurities. And he had seen it done in 1952 in the papers of Bohm. So he knew it was possible. But Bohm's theory is quite manifestly non-local, so he was curious whether a completely clear *local* theory that recovers the predictions of quantum mechanics is possible. And he discovered it isn't. It is not important whether you think of psi as a "real thing" for the purposes of the proof. It is only important that you regard it as *complete*, in the terminology of EPR. If it is complete, then two systems ascribed the same psi are physically identical in all respects. This does not require that psi be "physically real". In classical E & M a description of a system in terms of the scalar and vector potentials is complete, even though these are not regarded as physically real. It is certainly not the case that "But if psi is just a way of keeping track of our knowledge of the system, then QM can be regarded as a local theory." Why not? because quantum mechanics predicts violations of Bell's inequality for experiments done at spacelike separation! And Bell's theorem proves (again, modulo hyperfine tuning) that no local theory can do that. How you "regard" the wavefunction is neither here nor there. What was obvious to Einstein from the very beginning, as soon as he learned about the theory, was that if you regard the wavefunction as *complete* then quantum mechanics is obviously non-local. And this is what he and Podolski and Rosen proved in 1935. But keep in mind that this is the complaint he always brought against quantum theory: that it postulated spooky action-at-a-distance. I actually didn't ask that of 't Hooft, but I assume he does regard standard quantum theory as non-local because one of his aims is to construct a local theory. He just doesn't understand that that would commit him to hyperfine-tuning, and what that means. That's what we are trying to get across to him. The rest of your post is just incomprehensible. There is nothing about being "parameterized by a measure space" in Bell. Or, if you are somehow thinking about the integral he takes to get an expectation value, then shift to the GHZ where there are no statistics or expectations values involved. That's why I want to get 't Hooft to talk about GHZ, which he clearly completely misunderstands. You really have to stop just searching the internet for things other people have said. Think for yourself and only write things you really understand. If you do that we can get things cleared up. If you are just repeating things you saw somewhere, it's hopeless. Oh, and this sentence is positively painful: "Knowledge about a system can be nonlocal, as Bell explains with his example about somebody's socks." Apparently you have not even read "Bertlmann's socks and the Nature of Reality". Why don't you start there? Bell's point is that what is going on when his inequality is violated is *not* and *cannot be* anything akin to Bertlmann's socks. Another point. I question why you bother with Bell, if EPR demonstrates the non-locality that you claim. But why do you even bother with EPR? In the ordinary double-slit experiment, the photon (or electron) is usually interpreted as going thru both slits at once. But if you measure the particle in one slit, then it is 100% certain that you will not measure it in the other slit. Since the slits are spatially separated, and if you believe in locality, then by your reasoning the particles must be initially disposed to yield a particular outcome when a detector is put in a slit. At the time the particles are emitted, it is hard to see how they would have anything to do with the precise placement of the slits. So isn't that enough for your conclusion that QM is "manifestly and obviously non-local"? Why bother with all this EPR-Bohm-Bell-CHSH stuff? Please pay attention! EPR does not demonstrate that actual physics of the world is non-local! It demonstrates that *if you regard the wavefunction as a complete description of a system* then the physics is non-local. Or, more exactly, EPR goes the other way: assuming that there is no real non-locality in the world, they prove that the wavefunction is not a complete description of the physical system. To get a complete description you have to add additional variables. There is nothing about these additional variables being "hidden" but they come to be known as "hidden variables". So what EPR prove is that if you want to maintain locality, then you need to add variables. And more than that: the theory with the additional variables has to be deterministic. So in the modern lingo, EPR prove that if you want to maintain locality you a forced into a deterministic local hidden-variables theory. Bell assumes that you have read EPR and understand that. What he then proves is that no deterministic local theory can recover all of the predictions of quantum theory. So locality is dead, tout court. That's why you do the "EPR-Bell-Bohm-CHSH stuff". The double slit has nothing to do with anything here. 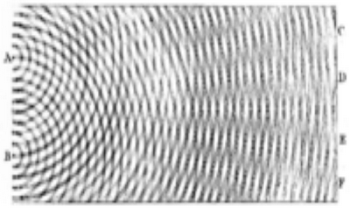 The double slit interference phenomena can be recovered by a local theory. For example, just use Bohmian mechanics. When only one particle is involved, you can regard the wavefunction as just representing a local wave in the spacetime and nothing goes faster than light. To get problems with locality you need two particles in an entangled state. You do need to learn to read more carefully. I nowhere say that EPR demonstrates non-locality! So you are just being sloppy and inattentive. If you don't become more careful, then again the situation is hopeless. Maudlin: "Bell assumed locality and proved that his inequality cannot be violated. Period." 'tHooft: "Point is that this statement is not true. QFT is completely local and disobeys his inequality." "I actually didn't ask that of 't Hooft, but I assume he does regard standard quantum theory as non-local because one of his aims is to construct a local theory." "So in the modern lingo, EPR proved that if you want to maintain locality you a forced into a deterministic local hidden-variables theory." So I think you are misinterpreting 'tHooft. He regards standard quantum theory as local. He does not think Bell's theorem applies to it. He wants a superdeterministic local quantum gravity theory, and does not appear anywhere close to finding one. You're probably right about this. I was making a distinction in my mind between QM and QFT which is probably unwarranted. Hans Westman has been pressing 't Hooft on that so I didn't feel like I needed to pile on: As Westman notes it is a triviality to see that QFT is non-local by Bell's criterion (which is the right one). He keeps asking 't Hooft to verify this and 't Hooft never responds. So is this the root of your confusion? You think that QFT is local because os the Equal Time Commutation Relations, i.e. because it is a non-signaling theory? But we all know that is not sufficient for locality. It was Bell himself who proved the no-Bell-telephone theorem, and he certainly did not conclude that quantum theory is local! Is that the root your your confusion? Have you at least cleared up what EPR did and what Bell did?